The default password for the root account is password!01 which we strongly recommend to change. 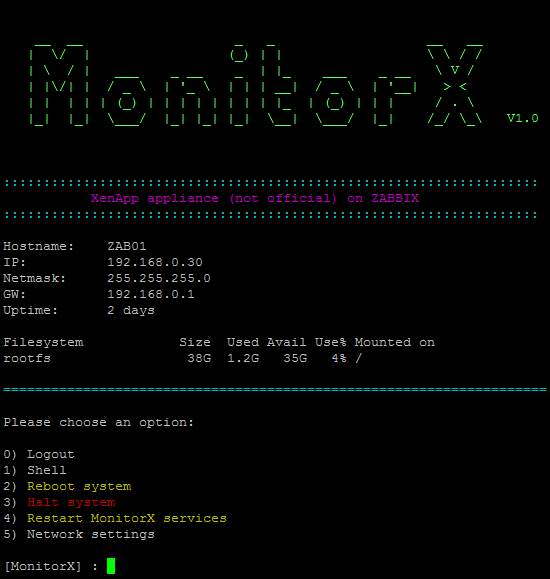 If you do not know anything about Zabbix, we recommend you to have a look at http://www.zabbix.com et http://www.monitoring-fr.org/solutions/zabbix/. 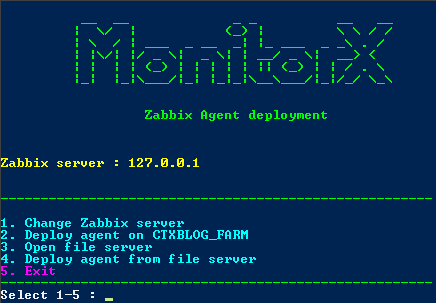 The Zabbix_Agent folder: contains the Zabbix Windows agent with the install script. Configure the network settings if you do not wish to use DHCP. Pay attention that if you change the default hostname (ZAB01), you will have to update the hostname in Zabbix too (see the end of this blog entry). Copy the “Zabbix_Agent_Install” folder on one of your XenApp admin server. In a PowerShell console, launch the “Zabbix_Agent_Install.ps1” script. The first step is to replace the configured IP address of the Zabbix server by the IP address of your Zabbix server (menu 1). Once the deployment done, a log file (StatutAgentInstall.txt) is available in the Zabbix_Agent_Install folder. Using the discovery rule called “XenApp_Discover” (Go into the Configuration-Discovery menu, modify the IP range of the “XenApp_Discover” rule, activate the rule and click Update). * Associate the Web Interface / Storefront (Windows 2008 R2) to the “TPL_Windows_IIS_7.5” template. If you’re using EdgeSight or UPM, you’ll have to enable the corresponding items in the “TPL_Citrix_XenApp_6.5” template. Go into the Configuration-Template tab, click on TPL_Citrix_XenApp_6.5 and go to the items. Click on “Disabled” to enable the chosen items. Modify the Zabbix hostname ($ZBX_SERVER = ‘ZAB01’; and $ZBX_SERVER_NAME = ‘ZAB01’;) and save the file (vi command “:wq”). If you’re allergic to vi, you can do the same operation through WinSCP. 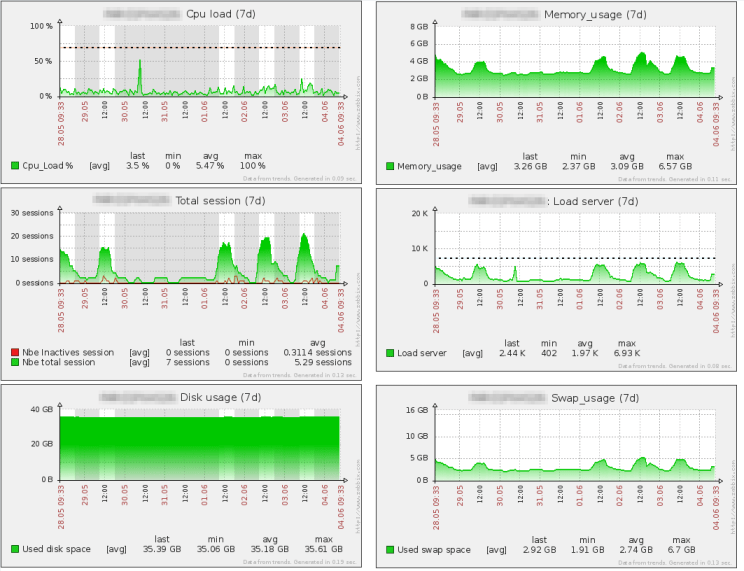 No worries, this message does not have any impact on the data collected by the Zabbix server. Many thanks at Etienne Jeanneau for the translation.